Slovenia is at the crossroads of the Balkans, Southern, Eastern and Central Europe and offers a very diverse landscape—the Alps, beautiful forests, the Mediterranean coast and the Pannonian Plain. This is a country that loves sports and recreation all year round: Skiing, snowboarding, swimming, hiking and cycling. Whether through school or community centers, teens like team sports: basketball, football and volleyball, Other popular leisure options are theater, choir and dance. On weekends you will find young people gathering at cafes and bowling alleys. AFS students are placed all over Slovenia, mostly in the cities Maribor and Ljubljana. Nuclear families are more common in bigger cities, while extended families usually live together in rural areas. Punctuality is appreciated. Your host family may have set times for dinner and when you are expected to be home in the evening. There are many different types of secondary schools, and you will attend a grammar school, with subjects like math, Slovene, English and a second foreign language (French, German, Spanish and Italian), sciences and social studies. The school day usually runs from 8 am to 3 pm, (September through June) divided into two semesters. Every two months or so there is a week long holiday. The official language is Slovene. Hungarian and Italian have the status of official languages in the ethnically mixed regions along the Hungarian and Italian borders. Many people in Slovenia are also proficient in German or English, so having a basic knowledge of these will help you in the beginning. AFS will also support you in learning Slovene by sharing links and materials. Slovenian food is rather simple: most common are potatoes, meat and warm thick soup. In the morning, Slovenes usually have a small breakfast (cereal or a piece of bread with jam or some other spread), followed by a snack—a sandwich and a piece of fruit or a yoghurt during weekdays while in school or at work. Otherwise they enjoy lunch as their biggest meal of the day featuring a main course and a salad; some also have soup as an appetizer. Dinner is a lighter meal. 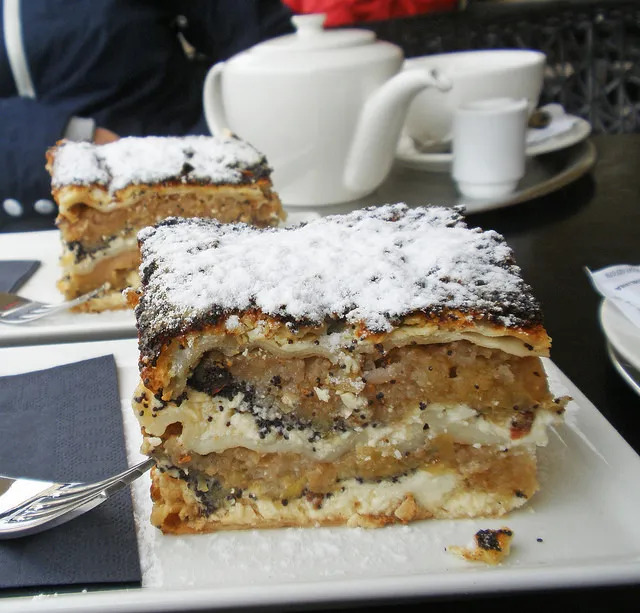 Typical Slovenian dishes that you should try include potica (a delicious nut roll pastry), štruklji (cream filled dumplings), or čevapčiči (a minced meat dish).